The origin of the phrase “don’t shoot the messenger” comes from ancient times when the only option for communication during wars between kingdoms was the use of human envoys. When one side or the other sought to initiate a negotiation it sent a “messenger.” The messenger carried a white flag and it was customary not to kill the messenger since the message could be “we surrender” or a similar option. Hence, the messenger was allowed to cross the battlefield and meet with the opposing side’s leader, king, queen, emperor, etc. When negotiation was complete, the messenger again passed safely through enemy territory with the response. Unfortunately, there were times when the messenger brought forth an unwanted message and was, in fact, killed in spite of the “don’t kill the messenger” agreement. My work and that of my excellent team of consultants often puts us in the position of being the “messenger” and the bearer of “bad” news. After all, a big part of our job is to identify conditions that are causing problems and make appropriate recommendations for improvement. The messenger’s role must be understood because it is as much about how the message is communicated as the message itself. When your profession requires you to report on activities within your business unit—and if you are a contact center leader, this includes you—the art of crafting your message is critical to it being heard and well-received. This protects the messenger from... well… getting shot. Of course I don’t mean this in the literal sense, but listeners can become defensive, aggressive or otherwise nasty based on the message received. Context is everything when crafting your message. Some like to gloat when they discover and report on deficiencies within an operation; it is as if they feel especially gifted. This type of messenger is what causes a defensive response. On the other hand, our style is to use the context of “gratitude”: “Thanks for being candid during the assessment process. Our discovery has yielded powerful findings that drive the kind of change necessary to achieve new goals.” Now the context around the findings becomes a collaborative one. It is important to recognize and acknowledge the realities that exist within the contact center business. The first is that staff are often moved into leadership positions with minimal training or expertise in the disciplines of contact center leadership and management. Accordingly, they don’t know what they don’t know. Sometimes even existing knowledge can be lost by the demands of an operation in crisis. There may be backed up calls, high turnover, expanding demand, lack of product knowledge, slow system response time, system failures and wrong information. Pick one or many! Deteriorating conditions present massive amounts of stress and distraction. Keep this in mind if you have messenger responsibilities; assure that optimism for the future remains central to the discussion. A common method of disguise is adopted when call abandon percentage is used as a measure of success. This metric is among the easiest to manipulate and this is done with great frequency. Contact center leaders do things like subtract calls that abandon within X seconds (usually 10 to 20 or 30 seconds). The assumption is that these calls don’t really matter as they could have been misdials, etc. The logic here is somewhat correct though there is little we can do to capture calls that hang up that soon. However, systems do report on percentage abandoned within X seconds. Reporting this way is less complicated and illustrates the fact that abandons occur over a period of time. The focus must be on those callers that held a long time and then hung up! They are the frustrated callers and that is where we must improve our response time (service level). Here is the real news. A low abandon percentage is not necessarily proof of good service. During stock market crashes, financial institutions have ZERO percent abandon. They also have a ZERO percent service level because the caller’s tolerance is at an all-time high. Another “trick” with abandon reporting relates to the contact center that is configured into many “pods.” The pods are all combined for reporting purposes and the aforementioned subtraction is made. The result is a percentage number that may “look” better or meet the objective, but is not at all a reflection of actual experience. Many things happen in the contact center “villages” we oversee. There are stories of people peddling drugs, stealing goods, stalking prey, making unwanted romantic advances, breaking up nastily and fighting on the floor. These are the “bad” news items headed for HR. It is both impossible and unwise to keep any of these issues to “yourself” as a leader (hard as it may be to turn in one of your own). For example, consider the plan that germinates in the contact center to steal merchandise from the warehouse (i.e., two dishonest people involved in a crossfunctional romance). The plan is hatched, executed and, of course, discovered. Discovery comes with immediate intervention and appropriate action via the right channels. In this situation, business leaders must know the procedures associated with interventions of this nature and relay the “bad” news to all parties concerned. I recall the story of a talk show audience give-away. Audience members were given a promo code to use for ordering the gifted merchandise—a pair of designer shoes. (There was a KNOWN number of audience members.) The company’s customer care supervisor thought there would be no harm in giving the promo code to her teenage daughter. Unfortunately, the daughter published the promo code via social media! This caused a raft of renegade orders; luckily, none was shipped because the warehouse caught the unexpected increase in orders. 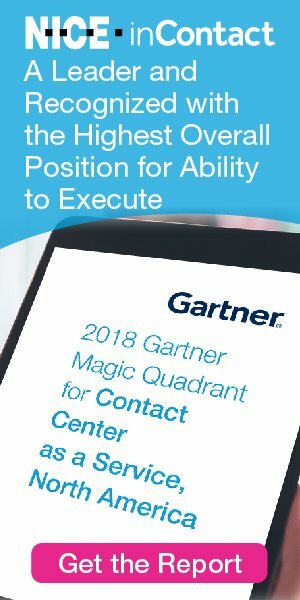 Now the contact center manager had to report this “bad news.” In this case, the bad news came from the outsource partner that managed the company’s customer care program. The outsourcer had to report and confess to its client what had happened. Needless to say, the supervisor was terminated and many at client headquarters wanted the contract terminated! An assessment of the situation revealed that the outsource partner had acted in good faith, though other issues in the relationship were soon uncovered. The partner had NO actual merchandise for its customer care agents to handle/touch when responding to product inquiries. No program existed to provide seasonal updates on merchandise; there was no designated executive overseeing the relationship; the client’s tier-support set up was inefficient; and the contact center was poorly equipped and without technology. There was definitely an opportunity for improvement on all sides. Since the client had no ability to hastily build its own in-house customer care operation, it sought resolution with the existing outsource partner. The outsourcer had already taken the necessary steps to eliminate the supervisor that violated the trust of the client. As well, the outsourcer had been providing good service despite some relatively poor circumstances. The client stepped up to send merchandising team members to the site to do a kind of trunk show. Agents received merchandise samples that provided access to the actual product. Ultimately, a new contract was crafted; the relationship continued and grew to be a very successful partnership. Courage and curiosity are of great value to the messenger whose findings are heard. They promote positive and enthusiastic responses rather than nasty reactions.